Brunch is better than ever with these seven new heavy hitters entering the ring. Many pull from flavors in Asia and Europe to bring something new to the table, and none will leave you hungry. There are great meals (and great naps) ahead. 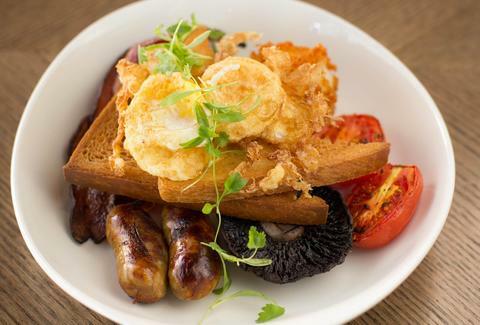 Mango Tree may be a Thai restaurant, but Chef Paul Kennedy hails from the United Kingdom, so he knows a thing or two about a full English brekkie. To ensure you’ll leave plan-cancelling-full, try the "Thai, American Full English" with Thai sausage, crispy bacon, wok-fried eggs, hash browns, grilled vegetables, and fried bread. A Spicy Siam is a more adventurous drink pick than a mimosa because it has chili-infused mango rum, mango, Thai chili, and fresh lime. Brunch is offered Saturdays and Sundays 11am-3pm. The brunch at Doi Moi is a must, because the Southeast Asian restaurant followed three simple rules. First, they took one of the best dinner dishes and brunchified it. During weekend mornings, Doi Moi’s crispy radish cakes are transformed into the starch in an eggs Benedict interpretation with poached eggs, Chinese broccoli, and red curry hollandaise sauce. 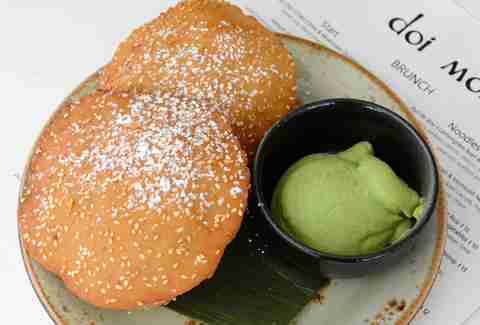 Then, they threw in something irresistibly fried in the form of sesame seed beignets dipped in pandan pastry cream. Finally, they didn’t phone-in the coffee program. Wake up with Vietnamese-style coffee with condensed milk. Brunch is offered Saturdays and Sundays 11am-2pm. Now you can brunch on a rooftop most commonly associated with after-work drinks served alongside stolen glances at bikini-clad hotel guests dipping their manicured toes in the pool (errr, the view?). 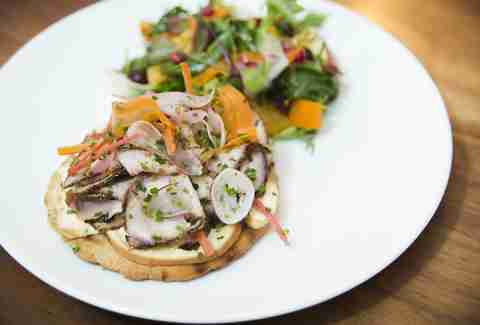 The Donovan is diving in head-first with a menu from Zentan, offered Saturdays and Sundays 11am-4pm. 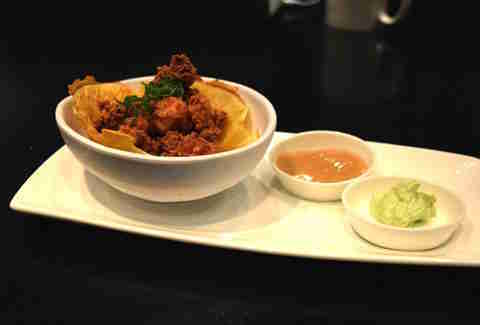 The most notable menu pick is fried chicken served in a waffle bowl with decadent sauces like cashew honey butter. Then there’s the best-ever take on a Scotch egg: a panko-fried soft-boiled egg with Tokyo sausage and Korean BBQ aioli. Sushi, grilled skewers, and other savory dishes like Osaka chicken wings are also available. Make like a real Madrileño by having a huge mid-day meal at SER followed by a siesta so long you actually dream. 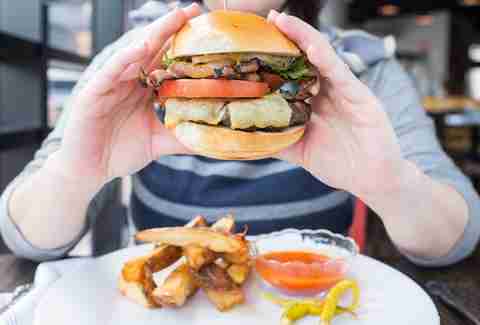 The new Ballston hot spot just debuted brunch that can get as fancy as a seafood platter, or as laid-back as a cheeseburger with Mahón cheese, bacon, Spanish fries, grilled onions, and bravas sauce. We also dig the Sara Montiel, described as "the way to Marlon Brando’s heart." It’s a crispy sandwich made with a fried egg, jamon serrano, and garlic chips. Fuel up with a café cacao (combining espresso and Nutella), or unwind with $7 brunch libations, including four flavors of Bellinis. Brunch is offered Saturdays and Sundays 11:30am-4pm. When Compass Rose launched brunch they stayed on-message. Meaning the global street-food restaurant’s menu is a tour of what the rest of the world eats mid-day. 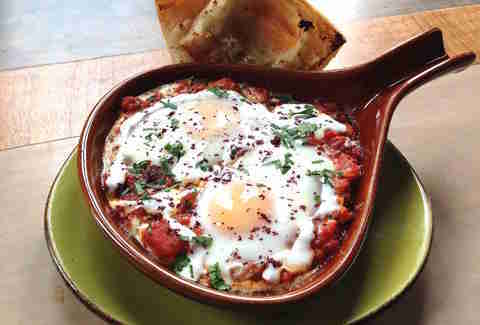 Stack the deck with Israeli shakshuka (pictured); Italian-style zeppole donuts with lime vanilla syrup; and Korean mung bean pancakes with kimchi and other toppings. Since you’re wondering, yes, you can also order the much-craved khachapuri at brunch, which is offered Sundays 11am-3pm. Had The Partisan’s brunch been around in the '80s, it would have inspired some serious power ballads. It’s that good. 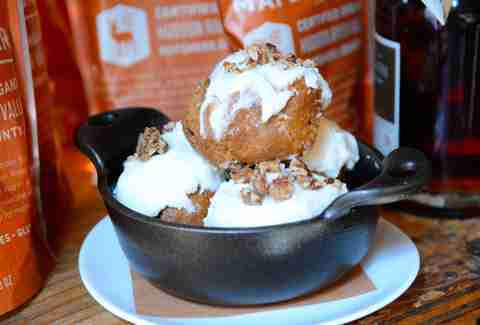 Especially the carrot cake donut holes, because they’re fried in beef fat. The Neighborhood Restaurant Group restaurant has quite the reputation for beverages, too -- so don’t skip the Bloody Mary made with homegrown Gordy’s Pickle Jar mix. In fact, here are seven things that need to make it to your table. Brunch is offered Saturdays and Sundays from 11am-2:30pm. For $32 dollars you can have yourself a three-course brunch at Casa Luca, including bottomless libations like a zippy Gazpacho Bloody Mary. You’ll make one draft pick from each of three sections of the menu: appetizers (bread basket or bust! ), Italian specialties, and dessert. Don’t leave without trying the Luca Popover served alongside maple gelato. If you’re trying to "be healthy," there’s also "Maria’s Light Brunch" for $26. Think continental breakfast, egg whites, and Greek yogurt. Brunch is offered Sundays 11:30am-2:30pm.